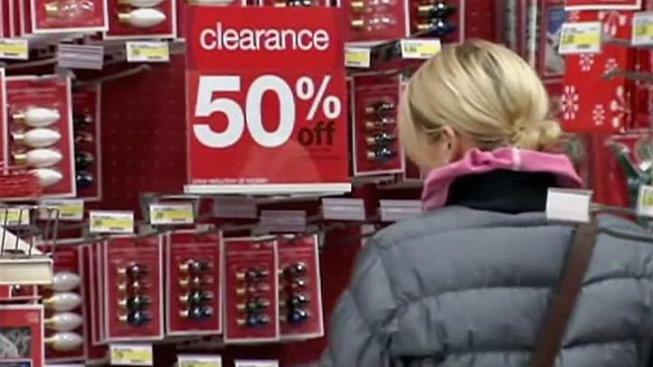 Chicago shoppers didn't waste any time hitting the stores the day after Christmas. December 26th is traditionally the third-busiest shopping day of the year, and stores like Target and Wal-Mart opened early to accommodate the bargain seekers. "This is money that I set up after I'm done shopping for Christmas gifts. I put it aside so I can come and stock up for next year," Rafael Rojo told NBC 5. Many of items are deeply discounted post Christmas -- especially holiday-related merchandise. Experts say traffic may be up as much as 60 percent, compared to the same day last year. "For Black Friday, I feel like those are the gifts you get for Christmas, and this is the miscellaneous stuff you get for yourself," shopper Arlie Chang said. Stores appeared to have a lot of winter merchandise still in stock, no doubt due to a milder winter thus far. And of course, many shoppers are looking to return items received for Christmas. "People come in and redeem their gift cards and usually that translates into a nice sweater or a nice pair of slacks," Target's Lee Crum said.